One question that has always bothered me in ST:TOS, was the apparent lack of escape pods, though there seems to have been some indication of them in the secondary hull in ST:TMP. Could that be the reason for the saucer section being capable of separating in TOS? Ok, if you will consider an escape pod and a lifeboat as serving the same function, possibly even two names for the same thing, then I'm going to say that they did have lifeboats on the Enterprise, and they just never used them in TOS. The lack of use is probably an out-of-universe reason, production cost in that era most likely. As to some indication in TMP, I can give direct indication of lifeboats. In the wide-angle scene where Kirk first exits the shuttle into the Enterprise is a hatch(?) 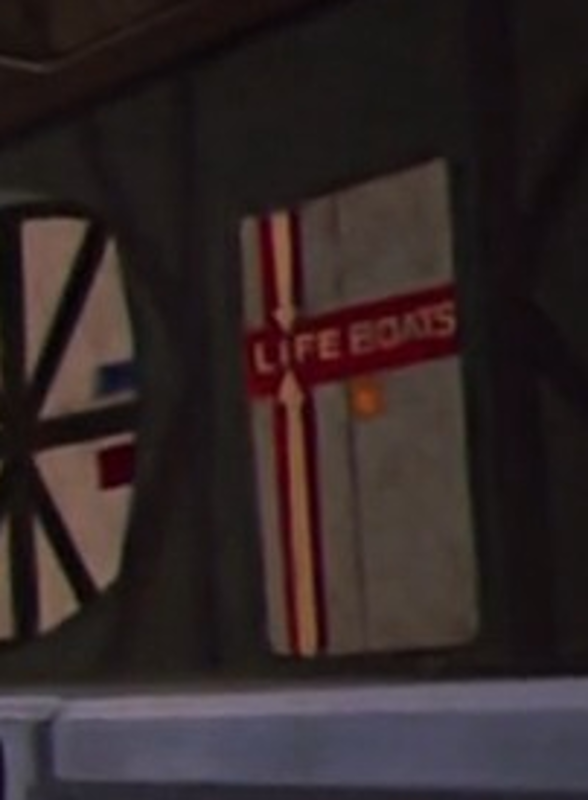 labeled "LIFEBOATS". Also, in the Kobayashi Maru simulation in The Wrath of Khan when Saavik orders the crew to abandon ship, I can only presume that means there are escape pods or lifeboats for the crew to use in following that order. As the Enterprise in TMP is only a "refit" after a long, and successful, voyage, I'd reason that something as basic as escape pods, if found in TMP must have been available in TOS even if never used. Are Galaxy or Constitution class ships capable of landing? Constitution Class in TNG era? Why weren't civilians evacuated before the fleet at Wolf 359 engaged the borg? During Star Trek TOS - were there only 12 Constitution-class starships in all of Starfleet? Does Captain Ronald Tracey resemble a particular figure from U.S. history?